Korff Milano, a leading Italian company known for its upmarket beauty solutions in the pharmaceutical industry, has announced its foray into the UAE market in partnership with BinSina Pharmacies. The premier European make-up brand marked its UAE debut with an exclusive gala dinner at Address Hotel, Dubai Mall, which witnessed the presence of a large group of dignitaries, high-profile beauty influencers and other senior officials. As per the deal, the producst of the Italian fashion brand will be available exclusively at BinSina Pharmacies across the UAE. Combining make-up with pleasure and scientific technology with glamour, Korff Milano aims to be the first choice for women with high standards for skin health and well-being, said a top official. “We are excited to launch in the UAE, a place known for its up-market beauty trends and high quality products. Our innovative revolutionary formulas are ahead of time, which offer the perfect make-up solutions, making it an unmissable addition to the growing beauty market in the region,” remarked Dr Mohammad Al Rammal, the general manager of Korff Milano in the GCC. Foreign beauty product firms are increasing their presence in this country as the sector offers an expanding market that is also giving local firms a platform for growth. According to Euromonitor International, consumers in the UAE spent US$247 per capita on cosmetics and personal care, more than any other country in the Middle East, and ninth worldwide. This is forecast to grow to $294 in 2020. “Dermatological know-how applied to make-up, trusted active ingredients and extremely close attention to purity of raw materials form the basis of every single product we make. We are optimistic that the brand will be an instant hit with women looking for beauty combined with safety and efficacy,” said Laura May, the commercial drector of Korff Milano. According to May, the initial product offerings from Korff Milano will include, make-up which will come in high-tech, highly concentrated formulas. The premium brand is hoping to use its experience and expertise in dermatological innovation and cosmetic pleasure to provide targeted solutions to women in the UAE, he added. “With its holistic approach to strengthen, empower and regenerate skin, the brand is certain to make a statement in the UAE,” she stated. H&M has announced it will be adding another brand to its portfolio in early 2018 aimed at millennials and co-created with “influencers”. The first /Nyden influencers will include Instagram-famous tattoo artist Doctor Woo and Swedish actress Noomi Rapace. The aim of working with influencers is to ensure the brand and product resonates more with its target market. The collaborators will work with /Nyden at their design centre in Los Angeles using a library of pre-developed fabrics, designed by H&M according to market data on trends. Products will be developed in three to four weeks, produced in limited quantities and will be priced in the “affordable luxury” range. The new brand will be headed up by creative director, Oscar Olsson, who believes that the future of fashion is in the ‘tribes’ who decide to wear it, rather than designers dictating what consumers should wear. H&M already incorporates a number of sub-brands aimed at different markets including COS, weekday, & Other Stories, Cheap Monday, Monki, and ARKET. US tech giant Apple is reportedly in licensing talks with Saudi Arabia with a view to open its first stores in the Gulf kingdom. The maker of the iPhone, which sells products in Saudi Arabia via third parties, is in discussions with SAGIA, Saudi Arabia’s foreign investment authority, sources told Reuters on Thursday. They said a licensing agreement is expected by February, with the first retail store targeted for 2019. The sources said that Amazon is also in talks with Riyadh on investing in Saudi Arabia, adding that discussions are in earlier stages. Both companies declined to comment, while SAGIA was not immediately available to answer questions about the discussions, Reuters said. H&M’s Group newest brand, Arket, is set to open its third store in London next spring as the Swedish retail group continues to roll out its latest store concept. Set to open in spring, 2018, the store will be located in Westfield Stratford City. The third UK Arket store opening comes after the brand’s debut opening this August. Market opened its first store on Regent Street on August 25 to much fanfare. One month later, Arket opened its second store in London at Covent Garden, at 27-29 Long Acre. Since the launch of the new retail chain, Arket has opened five stores across Europe, including stores in Germany, Belgium, and Denmark. The next store openings following Arket’s third store in London at Westfield Stratford will be the brand’s first store in the Netherlands, in Amsterdam and Stockholm, Sweden. Arket aims to be a “modern-day market” for men and women, focusing on minimalistic and timeless wardrobe essentials. An exact opening date for its store in Westfield Stratford has yet to be confirmed. “2018 will be the year of flagships, six of them, either brand new stores or major re-openings, which will be very impactful,” says Bruno Pavlovsky, the president of Chanel’s fashion and accessories divisions. And the destinations are all major ones. From New York, a new boutique on 57th street to a new flagship in Seoul, Chanel’s first there, to a new location in tony London shopping mecca Brompton Cross. Plus, openings in new markets like Copenhagen and Abu Dhabi, to a Chanel network currently consisting of 190 free-standing boutiques. Plus, on December 1, Chanel opened a second Tokyo flagship in Ginza on Namiki-Dōri, a three-year renovation, where architect Peter Marino clad the building in matte black and white panels, a very Coco color scheme. Though the biggest opening will be in Paris, where rue Cambon (Chanel’s historic headquarters) meets the rue St Honoré, in mid 2018. A space clad in scaffolding at present, unlike a new mat gray Christian Dior boutique which opened a catty corner nearby. Last month Lagerfeld was in Chengdu, where Chanel reprised the Ancient Greek goddess cruise collection, originally shown in Paris in May. “We scored 698 million hits from that show, on WeChat and Weibu, etc. That impact allows us to create an accessible dream. A chance to see and touch and understand what the brand is all about. That has nothing to do with customers – we don’t have 500 million customers in our boutiques. Don’t worry!” he laughs. To Pavlovsky, the key equation in luxury is balancing accessibility to the dream with the exclusivity of one’s products inside boutiques, carefully playing those two cards. Hence, unlike practically all its competition, Chanel’s e-commerce is essentially limited to beauty and eyewear. “Chanel is not a click. But when you think of a $5,000 jacket or a $10,000 dress the customer experience has to be more than just a click – you can click on everything,” he snorts. In China, Chanel is also about to open in Beijing’s China World mall. Business in China, he stresses, has been boosted by the policy of global price harmonization that Pavlovsky began introducing in 2015. Chanel, privately owned by the hyper discreet Wertheimer family, does not release official financial results, but is understood to have achieved 2016 turnover of $5.7 billion. “We see more and more Chinese in China coming to our boutiques regularly. They don’t need to travel to Paris, New York or London to buy Chanel and this is very important,” he underlines. Comparatively, Chanel garners less revenue (less than 10% of global sales) from Chinese consumers than many of its rivals, allowing considerable room for expansion in the key market of the 21st century. One vehicle will be harnessing influencers. “What is interesting about influencers in China is their point of view of the brand. Some are followed by 20 or 25 million, which is quite impressive. And they are very clear that what their followers want from them is a point of view. And we have to work with them not to dilute this kind of positioning. They are KOLs, Key Opinion Leaders, and we don’t want to try to turn them into Key Office Ladies! One of them told me, ‘Our followers want to know our point of view, but we cannot do the job of a brand. So be careful. The brand should not mix up and blur everything.’ That was a good message. I don’t want to pay them to say that the brand is wonderful. Anyway, we don’t have any of them under contract. Not one!” he stressed, as a small armada of craft passed by his giant picture window. US internet giant Amazon launched in Australia Tuesday in time for Christmas, with retailers scrambling to cut costs and boost their online offerings as they brace for an expected shake-up of the sector. The arrival of the behemoth — which has grown from an online bookstore to one of the world’s largest firms — poses a threat to a market already grappling with weak consumer confidence amid tepid wages growth. The American giant is offering “millions” of products from well-known Australian brands, as well as small and medium-sized Australian businesses selling on Amazon Marketplace. They will be shipped from a warehouse in Melbourne. Online shopping only accounts for between 8-13 percent of total sales in Australia, leaving room for growth in a sector estimated to be worth more than Aus$300 billion (US$227 billion) annually. “We believe Amazon’s full entry into Australia will likely be a success,” UBS analysts said in a note ahead of the launch, adding that Australia was an “attractive market where online is under-penetrated”. Retail categories most likely to be hurt by Amazon’s entry include electrical, appliances, apparel and cosmetics, UBS added. The US firm was likely to absorb losses initially to boost its market share, IBISWorld senior analyst Kim Do said, pressuring the profitability and margins of its competitors. Several top Australian retailers have recently succumbed to pressure from foreign giants such as Japan’s Uniqlo and Sephora of France, while others have cut back on bricks-and-mortar stores. But Australian Retailers Association executive director Russell Zimmerman welcomed Amazon’s arrival, saying it provided an additional platform to boost sales. 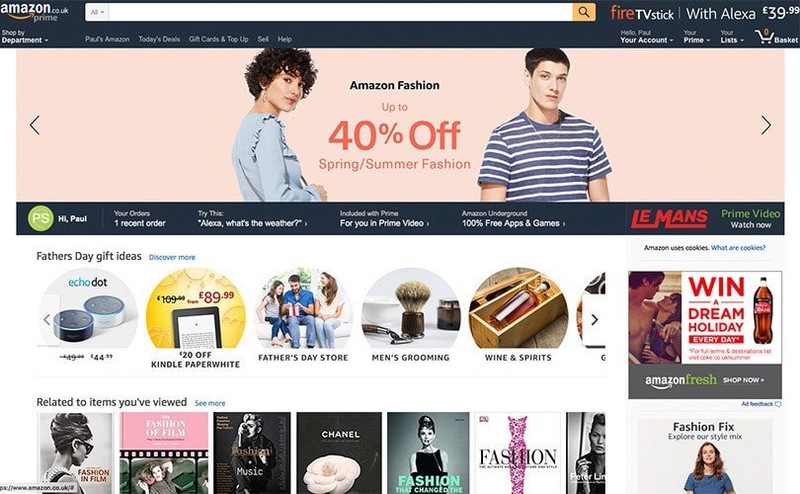 “With over 300 million active users already on Amazon’s Marketplace, the majority of Australian retailers view Amazon’s platform as a supplementary channel to their current retail offering,” he said. Some analysts warned Amazon would face challenges, such as low access to broadband and the large size of the island continent. “A key reason why Australia lags behind its peers (in the development of the e-commerce sector) is the low access to broadband,” BMI Research, Fitch Group’s research arm, said in a note. Broadband subscriptions in Australia stand at 57.3 per 100 people, rising to a forecast 60 in 2021, in contrast to markets like Singapore which is projected to have subscriptions of 75.3 per 100 that year, BMI said. Retail analyst Brian Walker said according to his research, Amazon was “producing a positive return” in just one-third of the countries it was operating in outside of the US. Amazon, a Seattle-based company, has expanded far beyond its roots as a digital bookstore, moving into the groceries and other retail sectors as well as cloud computing, streaming video, artificial intelligence and more. It has become one of the most valuable companies on the planet alongside US tech rivals Apple, Facebook and Google parent Alphabet, and in October reported third-quarter profits of US$256 million. Toys R Us is preparing to shut a quarter of its UK stores, with the loss of hundreds of jobs. The news comes ahead of the busy Christmas period, a crucial time for high street retailers which have been struggling to compete with online shopping. The toy retailer, which has been a family favourite since the 1980s, could close at least 25 of its 105 stores. The company is preparing to launch a process called a company voluntary agreement as early as next week, which will require the approval of 75 per cent of its shareholders. Toys R Us says its stores will remain open during the Christmas period and into the New Year, but the news paints a desperate picture for the business. In September, the company’s US arm filed for bankruptcy protection in order to restructure debts of £3.7 billion. The move was used as a guarantee that the retailer’s suppliers would be paid ahead of Christmas. At the time, the firm insisted that its UK stores were safe. Retail analyst Richard Hyman said: ‘The vast majority of UK retailers have too many stores. Many have closure programmes that tend to be modest. Toys R Us recorded a loss of £500,000 in the year to January. It is understood to have made a loss in seven of the past eight years. Dubai: Nike is planning a major overhaul of its retail offering in Dubai, according to four people familiar with the matter, with a huge new store slated for 2018. The world’s biggest sportswear maker will open a Niketown in Dubai Mall sometime next year, said the individuals, who asked not to be identified because the information is not public yet. In a significant shake-up of its retail offering, the new store will set in motion a reshuffle of its two existing spaces at the mall. The opening of Nike’s new flagship shop, expected to be located in the space that Kinokuniya Bookstore left in February 2017, will pave the way for the existing Jordan Brand store to move in to the space Nike is vacating on the ground floor. A Nike Lab store, the company’s high-end retail concept created in 2014, will then open in the old Jordan store. The Nike Lab store will feature limited edition collaborations and other rare footwear and clothing. Dubai will become the ninth city in the world to acquire a Nike Lab, joining Milan, London, Tokyo, Chicago, Paris, New York, Shanghai and Beijing. The new flagship Niketown store is expected to be one of the brand’s biggest globally, according to three people associated with the store. “It will most likely be Nike’s largest store in the world,” said one footwear industry individual familiar with the negotiations. The biggest Nike store in the world is currently in the UK: Niketown London covers approximately 42,000 square feet over four floors. The space that Kinokuniya Bookstore vacated in February is 68,000 square feet, according to the company’s website, meaning that the Nike store would be significantly larger if it took the whole space. According to a quarterly report released in June 2017 from Dubai Mall owner Emaar, the company currently charges Dh680 per square foot, with an occupancy rate of 99 per cent across its flagship regional malls. At this average rate, not factoring in any discounts or special rental agreements, Nike would be expecting to pay over $12 million (Dh44 million) every year to lease the entire space. According to one individual familiar with internal discussions at Sun & Sand Sports, the sportswear retailer came to an agreement with Nike to revive the Niketown brand for its new Dubai Mall flagship store. Since 2013, the US company has been moving away from the Niketown label, renaming its Niketown in San Francisco to simply Nike San Francisco. Over the last two years, the UAE-based Sun & Sand Sports has been aggressively expanding its business, with plans to open 500 Sun & Sand Sports-branded stores between 2015 and 2022. Galeries Lafayette has unveiled a new flagship store at the heart of the new extension to the Carré Sénart shopping centre in Paris. The opening marks the first significant addition to the Galeries Lafayette network of 56 stores in France in the past few years, and the new store concept is intended to be experience-led, fully omni-channel and firmly anchored in its local environment on the edge of the Forest of Sénart. Spread over two floors, the store is based on standards of hospitality and services that provide a harmonious blend of physical and digital innovation, with comfortable relaxation areas, intuitive signage and sleek, modern furnishings. Remaining loyal to its strategic positioning, Galeries Lafayette offers a selection of prestigious brands spanning fashion, beauty, accessories, shoes and leather goods, in many cases some as the exclusive retailer within the shopping centre. The 6,000 sq m store enables shoppers to enjoy a stroll through a natural setting, where products are displayed in spaces such as cabins, hunting lodges or kiosks. It features a monumental glazed facade and a light well at the heart of the store. French artist Julien Colombier has created a major artwork on either side of the facade, influenced by both plants and the urban environment, recreating the edge of a forest. The artwork opens up into the store, where a grove of life-sized trees catches the attention of visitors, and is another nod to the forest-inspired interior of the store beyond. In the woodland-inspired and modern space, the codes of the forest are found in product racks and displays, showcasing the retailer’s collections. The store is bathed in natural light, thanks to the glazed facade and particially transparent ceiling. Galeries Lafayette Carré Sénart has been designed to reinvent the department store experience by offering customers open plan spaces and different departments marked out by woodland-inspired furniture, created directly by sustainable funiture designer, Agence Forêt. The store has been designed around both the physical and digital experience. On the first floor, a 150 sq m space is dedicated entirely to services, including e-reservations and Click & Collect. Following a number of pilot projects, the Digital Showroom is now available at Carré Sénart. This makes it possible to offer a very wide range of up to 100 products in a small, physical space. Usually used for leather goods, the 40 sq m area displays a selection of four luggage brands made available to customers thanks to a digital counter. Customers can see and try the demonstration produt and then, by placing it on the dedicated counter, benefit from a wide range of options (size, colour etc) and buy it online. Orders are collected using the store’s Click & Collect service within 24 hours, or delivered to the customer’s home. The Carré Sénart store is also running a pilot project in omni-channel training of sales advisors. Staff are armed with mobile tablets to help customers throughout the entire shopping experience, including managing stock levels in store, providing a constant link with the website and giving proactive advice when trying items. Mobile payment points are also available throughout the store. The chief of Uniqlo’s parent company Fast Retailing is to retire from the company he founded when he turns 70 in 2019. According to the publication, Yanai said a successor should have the physical strength and technological know-how of young managers to make quick decisions and keep up with the ever-changing fashion industry. “Young people must handle actual management,” he said. “The next CEO will be the most suited person among our current executive officers,” he explained. Fast Retailing has over 40 executive officers, two of whom are Yanai’s children, but he already has denied that either will be his successor. Fast Retailing in 2002 appointed Genichi Tamatsuka, an executive with experience working at Asahi Glass to take over as president from Yanai. But Yanai reassumed the presidency three years later after earnings flatlined and stronger leadership was needed to guide the company through a review of its businesses. In 2013, Yanai also reneged on his promise to retire as president at 65. The retailer’s earnings are recovering, with higher revenue and profit for the fiscal year ended in August. The brand is gaining more recognition in China and Southeast Asia thanks in part to aggressive store openings. Though Fast Retailing continues to bleed red ink in the U.S. market, overseas operations are growing overall. But the company remains far from its sales goal of 3 trillion yen (26.5 billion dollars). To that end, Yanai aims to make Fast Retailing into a global and digital business “that turns information into products,” a shift that depends on the progress of its information technology strategy. Hugo Boss has launched its first digital showroom in Berlin, Germany, marking a shift in the company’s strategy. The German fashion brand presented its Hugo pre-fall collection for 2018 at a pop-up space in Berlin to showcase its digital showroom last week. Via a 65 inch touchscreen, which resembles a table, viewers were able to browse through the entire collection, go through numerous colour and combination options and directly order pieces from the collection. Specially developed for Hugo Boss, the dedicated application was developed in a short period of time using the ‘scrum method’ – a technique which uses a form of agile project management to enable the rapid visualization of solutions for complex issues within a flexible framework. The launch of the digital showroom signals a change in Hugo Boss order system – from now on the German fashion brand will no longer prepare complete collections of physical samples for its order phase. The collection, including the entire range of available colours and combinations options, will be offered to customers exclusively in digital form. Hugo Boss aims to roll out its digital showroom to its global market in 2018 following its launch in Berlin. The Al Habtoor Group is proud to bring together two world-class brands under one roof, Bentley, and St. Regis Dubai Polo, the world’s first ever equestrian resort located at the Al Habtoor Polo Resort and Club. The brainchild of Mr. Mohammed Al Habtoor, Vice-Chairman and CEO of Al Habtoor Group, the idea of building the luxury boutique was born over a year ago and after consultations with Bentley UK, the boutique opened on 27th October, making it a powerful addition to the whole Al Habtoor Polo Resort and Club. Bentley has long been associated with Polo in the UAE. Over the years it has been sponsoring many high-profile polo events, including The Dubai Open, which is played at The Al Habtoor Polo Resort & Club. London – The man who has been credited with transforming Burberry into the UK’s leading luxury fashion house is set to leave his role. President and Chief Creative Officer at Burberry, Christopher Bailey, is set to leave the company by the end of 2018, marking the end of his 17-year tenure. The heritage fashion house announced Bailey’s impending departure on Tuesday morning, as Burberry is set to begin the next decade of its journey under the supervision of its new leader, Chief Executive Officer Marco Gobbetti. Bailey, who is set to pursue new, unnamed creative projects, will remain on board as President and Chief Creative Officer until March 31, 2018, after which he will step down from the company board. He will, however, remain with the company in a transitional advisory role, offering his “full support” to CEO Gobbetti and the rest of the team until he finally exits the fashion house. Since joining the team at Burberry back in 2001 as design director, Bailey has become one of the main driving forces behind the luxury fashion house’s transformation. Within the span of 17 years, Burberry has grown from a small-licensed outerwear business into one of the industry’s leading global luxury brands, best known for its trench coats and innovative marketing campaigns. Together with Angela Ahrendts, former CEO at Burberry, Bailey established the Burberry Foundation, a dedicated initiative to help young people achieve their goals. Later in October 2013, he was named as Ahrendts successor, ahead of her departure to Apple in May 2014. He remained in his current role as Chief Creative Officer and became the company’s first CEO and creative head. In his joint role, Bailey is said to have continued to push the boundaries of creation and innovation at Burberry, leading the way for the brand’s ongoing elevation and turning the luxury fashion house into the industry’s digital leader and overseeing the reinvention of the company’s design and internal structure. He was the mastermind behind Burberry’s key flagship store on Regent Street and built a highly talented and experience creative team to continue the brand’s story. However, in July 2016, the company announced that Marco Gobbetti, CEO of Céline, would be the next CEO of Burberry, taking over the reins from Bailey in 2017, who transitioned into the role of President while remaining in his role as Chief Creative Officer. p> Bailey worked together with the Board to create a new leadership structure before he was succeeded by Gobbetti this July. Since this summer, Gobbetti and Bailey are said to have worked together to develop a strategy for the next chapter of Burberry’s growth, sharing a strong ambition to drive the success of the Burberry brand while strengthening the leadership team. Gobbetti understands and supports Bailey’s decision to leave his joint role at Burberry, and will now begin the process of finding a successor for his role. “Burberry has undergone an incredible transformation since 2001 and Christopher has been instrumental to the Company’s success in that period,” said Gobbetti. “I have total confidence that Marco’s vision and leadership, with the excellent management team in place, will keep Burberry on the forefront creatively, digitally and financially, creating further value for shareholders in the next exciting stage of our evolution,” added Peace. Full details concerning all payments made to Bailey concerning his role as director will be revealed in the Directors’ Remuneration Report in the company’s annual report for the year ended March 31, 2018, added Burberry. In the past company shareholders have voted against the luxury fashion houses remuneration report concerning pay deals for Bailey. However, Bailey has decided to surrender various awards held by him under the company’s share plan as he is set to step down from the board and exit the company by the end of 2018. Following the announcement concerning Bailey’s exit, company shares were down 1.46 percent at 10:00 am, making the company’s stock the worst performer on a rising FTSE 100 index. Bailey’s exit comes after a period of rapid expansion, during which the company has struggled with stagnate saled over the recent years. Bailey is set to leave big shoes to fill however, notes Charlotte Pearce, Retail Analyst at Globaldata. “Since becoming Creative Director in 2004, Bailey has contributed to total revenue growth of 2 billion pounds and has helped to regenerate the brand, turning it back into the aspirational, iconic label that it once was,” commented Pearce. Kappahl has announced the appointment of Peter Andersson as the company’s new CFO, effective April 2018. The company said in a statement that Andersson brings many years as CFO of AB Lindex, where he currently is director of expansion. “I am very pleased with the recruitment of Peter. His extensive expertise and experience from retail will be a great asset to Kappahl”, said Danny Feltmann, Kappahl’s President and CEO in a media release. From April 2018, Andersson will lead and develop the financial work of the Kappahl Group. The company added that Andersson has many years of international experience from the retail business from strategic and operational perspective as well as qualified work in financial and risk management. He has previously worked for ICA Handlarna AB. Kappahl was founded in Gothenburg in 1953 and is a leading fashion chain in the Nordic region with 370 Kappahl and Newbie stores, including an online platform, in Sweden, Norway, Finland, Poland and Great Britain. The company’s sales for 2016/2017 totalled 4.9 billion Swedish krona (0.5 billion dollars). The firm’s chief executive, Muchiri Wahome, says the move comes after South Africa-based Mr Price Group Ltd approached Deacons with a proposal to purchase the chain of stores. “The proposed transaction will be subject to various conditions that include requisite approvals from regulatory authorities and the shareholders of Deacons through a shareholders’ meeting to be convened once the sale agreement has been finalized,” said Mr Wahome in a statement yesterday. Mr Price Group Ltd plans to purchase the Mr Price Home and Mr Price apparel brands which have been operating in Kenya since 2007, effectively ending Deacons’ 10-year franchise deal with the Johannesburg Stock Exchange-listed South African company. The deal, if approved by regulatory authorities, will see the South African firm take over all 11 Mr Price Home and Mr Price apparel stores in Kenya. The proposed deal comes amid a 12 per cent drop in earnings for the Johannesburg-based firm, marking its first drop in annual profit since 2001 as South African consumers slowed purchases in a struggling economy. Deacons suffered a similar fate this year after posting a half-year net loss of Sh180 million citing a tough operating environment. Net loss for the period (June 30) deepened by 242.81 per cent as inflation ate into the spending power of consumers amid rising expenses. Deacons’ principal business is to operate retail establishments including franchise and department stores selling ladies, men’s and children’s clothing, footwear and accessories among other items in East Africa. Deacons’ exclusive franchise deal with South Africa’s luxury fashion brand Woolworths ended in 2013 after the multinational took full ownership of its Kenyan subsidiary. “We had a franchise (agreement) then it moved to a joint venture and Woolworths will now be an independent brand run by them (Woolworths Holdings),” said Mr Wahome at the time. Swedish fashion retailer H&M said third-quarter profits were adversely affected by heavy discounting of the retailer’s summer collection, in a bid to boost sales over the warmer months. The world’s second-largest clothing retailer said net profits fell 20 percent in the three-month period ending August 2017. Net profit in the third quarter fell from SKr4.8bn a year earlier to SKr3.8bn ($470m). Sales increased 5 percent to SKr59.4bn. Moreover, in the first nine months of its business year, sales rose just 4 per cent in local currencies. The fast-fashion firm’s new annual target is 10-15 per cent growth, according to Karl-Johan Persson, chief executive of the family-controlled group. Persson told the Financial Times he was hopeful that the company could reach the target next year. “It is an ambitious goal but it’s realistic. We have to be humble not having reached it this year or last. Also it is a challenging market,” he added. Helping H&M recover, the affordable European retailer – who’s suffered at the hands of online stores Asos and Zalando, as well as cheaper fashion chains such as Primark – plans to close 90 stores globally in 2017. In return, H&M will focus on its e-commerce. The group said online sales should increase by at least a quarter in 2017. It added that in some markets, online sales already make up 25-30 percent of its revenues. H&M plans to invest more in online shopping, including giving customers different and faster delivery options and increasing the product range. It is also investing in its supply chain in an attempt to reduce the amount of inventory it holds and cut the time it takes to get products into shops. H&M recently opened its first shops in Colombia, Iceland, Kazakhstan and Vietnam. It operates more than 380 stores worldwide. Italian luxury house of Gucci has recently opened a new children’s clothing store in Dubai at the Dubai Mall. The store features Gucci Creative Director Alessandro Michele’s signature style. The store stocks the complete range of products for kids of the brand. Fitness brand Sweaty Betty has opened its first European flagship at No. 1 Carnaby Street in London. The prominent 204 sq m store is located at the south entrance to Carnaby Street and is the result of the brand upscaling from its existing store on Beak Street where it has been a resident since 2002. ’19 years and over 50 shops later, I’m so excited to introduce our flagship: No. 1 Carnaby. We spent years dreaming up this concept, I have even handpicked all of the partners to ensure they had a similar value and ethos to the Sweaty Betty brand, to live a balanced life that goes beyond fitness,’ says Tamara Hill-Norton, founder of Sweaty Betty. The shop is arranged over ground and basement floors allowing the brand to expand and offer its full clothing, accessories and equipment collections, as well as housing a studio space for exclusive wellness events, giving a wider customer experience. The design team wanted to stay true to the brand using its signature grey tones and fluoro pops that it has become known for. The space is really industrial, so to take No.1 Carnaby to the next level, the designers used bright neon installations throughout the space inspired by the lights of Soho. In the shop area itself, the shopping experience has been simplified using blackened steel fixtures and touches of marble and concrete. As the main concept of the space was to create an area where women would come and want to hang out, homely touches were added, including hanging plants, oak furniture and lots of cushions and rugs. ‘In retail spaces designers now have to think, is this Instagrammable? At Sweaty Betty we love motivational quotes, so you will notice these throughout the store; on a mirror, or a big neon, as they are a huge part of our brand. To ensure these stayed true to our look, we used stencilling for a premium, long-lasting finish,’ says the spokesperson. Sweaty Betty joins other recent additions including Urban Decay, G.H. Bass and Estee Edit who have all chosen Carnaby for their first global or UK flagship store. Topshop and Topman New Zealand are closing its Auckland and Wellington store after a failed attempt to find a buyer for the fast-fashion retailer. Topshop and Topman is operated by Top Retail in New Zealand, with the firm entering voluntary administration in early September on the back of consecutive losses. The UK-based retailer came to New Zealand in 2014, with Kiwi clothing firm Barkers, Christchurch property investor Philip Carter and fashion designer Karen Walker taking the rights to own, develop and operate the brand locally. Topman/Topshop opened on Auckland’s Queen Street and on Wellington’s Lambton Quay, with plans to add two more stores as well as an online store by the end of the year 2017. Conor McElhinney and Kare Johnstone of McGrathNicol said in a statement that “after conducting a detailed assessment of the business and following conclusion of a sale process for the business and assets in whole or in part”, the stores would close after 1 October 2017, but could close earlier if they run out of stock, according to local media. “It is with regret that we have had to inform staff today that the business is unable to continue trading and that Topshop and Topman will no longer have a presence in New Zealand from Sunday,” the receivers said. Topshop’s Australian arm was put into receivership in May 2017. Hyundai Department Store announced that it will open COS brand mall at The Hyundai.com. COS also launched the official online store in Korea. Price at online mall is the same as the offline mall. COS is a fashion brand that offers a collection of high quality at reasonable prices based on modern and practical design. Launched in London, UK in 2007, it currently operates stores in 35 countries around the world, including Europe, Asia, the Middle East and the Americas, and is being sold online in 20 countries. In Korea, there are 11 offline stores, including Hyundai Department Store Trade Center and Pangyo Branch. Hyundai Department Store expects to have more young customers in their 20s and 30s, which are the main target of online shopping, through the launch of the course brand on Hyundai.com. According to the analysis of the sales by age group of COS in Hyundai Department Store trade center and Pangyo branch, 30s (31.9%) and 20s (28.8%) were ranked first and second respectively. “We will introduce various brands to offer shopping experiences for customers in the future,” he added. In the meanwhile, H&M Group’s premium spa brand, & Other Stories, is also in the process of launching an online store. In 2017, & Other Stories opened three stores in Apgujeong, Starfield Hanam and Starfield Goyang in Seoul. Since & Other Stories launched the first online mall in2013, it is currently operating in 14 countries and Korea becomes 15th online selling country. The online mall is scheduled to open in Korea this autumn and the date is not yet confirmed. Amazon.com is set to buy a 5 percent stake in Indian retailer Shoppers Stop, valued at $27.6 million (1.79 billion-rupee), as the US company steps up efforts to gain ground in the fast-growing consumer market. Shoppers Stop’s board approved the issuance of 4.4 million shares to a unit of Amazon for 407.78 rupees ($6.28) each, the Mumbai-based company said in an emailed statement late Saturday. As part of the deal, Amazon experience centres – which let customers test out the products available online – will be set up across Shoppers Stop’s network of 80 bricks-and-mortar stores in India. CEO Jeff Bezos has allocated $5 billion toward Amazon’s expansion in India as it seeks to secure an advantage over local rivals in the South Asian nation. The e-commerce giant has a lot riding in the country after its washout in China, where the dominance of Alibaba Group and other domestic players made Amazon’s entry difficult. Shoppers Stop, which sells cosmetics to clothing and home appliances at its outlets, will have an exclusive flagship store on Amazon’s Indian site where it will retail its entire portfolio of more than 400 brands, the company said. Shares of Shoppers Stop have gained 45 percent this year and closed at 418.1 rupees on Friday in Mumbai. The deal will be Amazon’s first investment in a publicly traded retailer in India. The opening event of the Max Mara flagship in New York unveiled not only the stunning reimagined space, but saw the release of a special edition mini Whitney Bag. While the bag boasts vibrant, jewel-tone colors and a luxe velvet material, the newly conceptualized store boasts approximately 5,000 square feet in the Victorian-style building located on Madison Avenue and 68th Street. The refurbished space, designed by Duccio Grassi Architects, highlights the spirit of the Max Mara brand through a manifestation of its Italian heritage and contemporary energy. US retail giant Toys ‘R’ Us filed has for bankruptcy, under a debt load piled on the business in a private-equity buyout a decade ago. The company listed debt and assets of more than $1bn each in Chapter 11 documents at the US Bankruptcy Court in Richmond, Virginia. Prior to filing, the chain secured more than $3bn in financing from lenders including a JPMorgan-led bank syndicate and certain existing lenders to fund operations while it restructures, according to a company statement. The funding is subject to court approval. US debtor-in-position loans allow a company to tap new lenders who get preferential security, while it goes through Chapter 11, helping the business trade throughout its insolvency process. Toys ‘R’ Us didn’t announce plans to close stores, and said its locations across the globe would continue normal operations. “Like any retailer, decisions about any future store closings – and openings – will continue to be made based on what makes the best sense for the business,” a spokesman said. The bankruptcy filing is the latest blow to a brick-and-mortar retail industry reeling from store closures, sluggish footfall and the rise of Amazon.com. Following the openings of Arket and Weekday on London’s Regent Street in August, parent company H&M has announced plans to open two new Monki stores, one at Westfield Stratford and the other at Buchanan Galleries in Glasgow. Both stores will adopt the Monki World concept, leading customers into an imaginery universe that has inspired 115 stores. With fitting rooms decorated across a spectrum of rainbow colours, Sea of Scallops tables, shimmering features and exclusive Monki World facade, the new stores will offer the full storytelling experience. Although technically the Swedish fashion brand’s debut in the Scottish market, the 480 sq m Glasgow store will cater to an existing fan base that already gets its fashion fix online. The 370 sq m Westfield Stratford store will mark Monki’s third retail space in England, alongside its Carnaby Street and Bristol stores. The ew store is part of the first phase of The Knightsbridge Estate K1 development (1, Sloane Street) and will see Burberry relocating its local flagship from nearby Brompton Road where it currently trades from twin men’s and women’s shops. The new move to a site not far from Harvey Nichols will give it the chance to consolidate all men’s and women’s product into one flagship location on four floors and covering an area of over 15,000 sq ft. The fashion brand and the property company have worked together before with Chelsfield having been responsible for the label’s Bond Street flagship back in 2005. Despite a raft of openings in recent years, Burberry is carefully targeting its investment at present and only recently scrapped plans to revive the Temple Works mill in Leeds as well as delaying a decision about building a new factory on a neighbouring site. It is also reported to be looking at its London offices with a view to cutting costs. But the brand is clearly still investing where it can see major returns. It has invested heavily refining its product offer, adding new star bags that appear to be making a major impact on its balance sheet. And it has licensed its beauty ops to specialist Coty, as well as opening a China-specific website. The new Knightsbridge store is part of this very focused strategy with the area being a key beneficiary of the booming luxury tourist trade in London. British handbag and accessories brand Radley is set to return to the American market, following its withdrawal six years ago, after signing an exclusive deal with US department store chain Macy’s. The deal, will see Radley opening concessions in 100 Macy’s stores by Christmas, with as many as 300 possible within the next 12 months, as the handbag brand attempts to crack the US market, according to reports in The Times. The move follows the private equity-backed company selling its products on TV shopping channel QVC, which was declared a success as Stead told the newspaper that during its hour-long show it sold out of its 750,000 dollars of product in just 30 minutes. Acquired by private equity house Bregal Freshstream last year, it said at the time it saw “significant potential” in expanding Radley to the international market. Radley was founded in 1998 and has around 32 standalone UK stores, it is also sold in John Lewis, House of Fraser and other department stores and independent retailers, as well as via its website. The chief executive of New Look is to step down just over two years after his turnaround of the high street fashion chain paved the way for its £2bn sale. Sky News has learnt that Anders Kristiansen is to leave the company, which is majority-owned by South African investor Brait, in the coming weeks. His departure is expected to be announced on Friday, according to a person close to New Look. Mr Kristiansen, who previously ran a major Danish retailer’s huge Chinese operations and also held a senior job at Staples, the office supplies group, is expected to move to an undisclosed role elsewhere in the coming months. His nearly-five year tenure at the company was characterised by significant expansion of its store network in China, where New Look is targeting 500 shops over the next few years, and the stellar growth of its digital business into the UK’s third-largest online fashion brand. He has also presided over a recent shake-up of his executive team, recruiting Paula Dumont Lopez from Zara-owner Inditex to sharpen its product offering. Brait’s takeover of New Look in 2015 cemented the presence in the UK retail and leisure sectors of South Africa’s Wiese family, which also has interests in chains such as Iceland and Virgin Active. News of the change in leadership at New Look will nevertheless come during a challenging period for the mid-market clothing retailer and many other British fashion retailers hit by weakening consumer spending and the weakness of sterling. Earlier this month, New Look reported a 7.5% fall in UK like-for-like sales in the quarter to June 24, with underlying operating profit declining sharply to just over £12m. Mr Kristiansen is expected to be replaced temporarily by Danny Barrasso, New Look’s UK and Ireland managing director, while its board hunts a permanent successor. The company now trades from nearly 600 outlets in the UK and almost 300 more in international markets – including more than 125 in China. Announcing the results this month, Mr Kristiansen described the UK as a “difficult” market, saying: “As expected, the UK market has remained difficult, which has resulted in a disappointing quarter of trading. “We have managed the business accordingly by controlling costs, tactical investment in our strategic initiatives and enhancing our product proposition. Mr Kristiansen, who has in recent weeks been a vocal advocate for improved clothing factory conditions in the UK, could not be reached for comment on Thursday night. A New Look spokeswoman declined to comment. 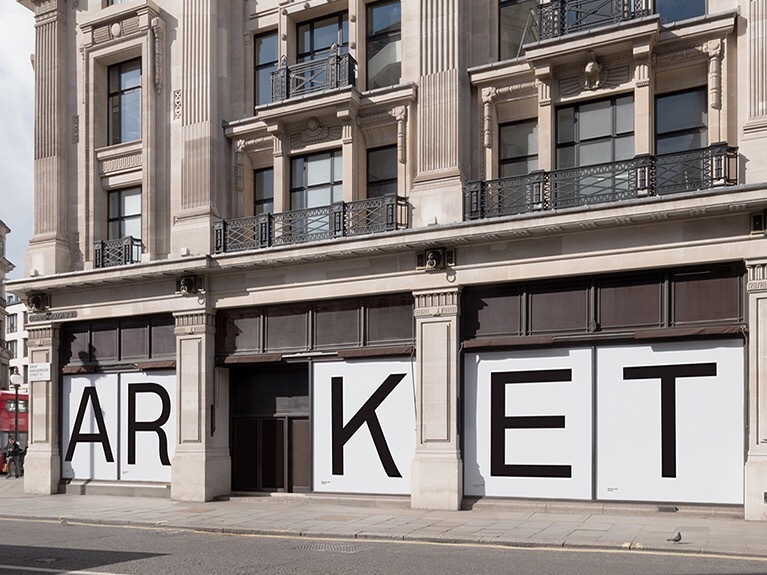 Swedish fashion and lifestyle brand Arket, from the H&M Group, has unveiled its long-awaited debut flagship store on Regent Street, ahead of its official opening on Friday, August 25. Located within the unit that once house Banana Republic, Arket has transformed the 17,000 square foot space into a calm, modern and very grey environment, with bespoke terrazzo stone floor, cement-grey walls and an OCD-neat layout that is light, airy and simple in its construction. The interior has been developed by the brand’s in-house team and centres around the simplest of contraction elements – the plank, and features larch, birch, ash, stainless steel, aluminium, rubber, textile and bespoke terrazzo stone, all chosen for their “practical needs of the construction” explains Arket “in order to waste as little raw material as possible”. “The plank creates the entire system vertically as well as horizontally and is reused on tabletops and mirrors. It is the repetition of this simple element and the monochrome palette that forms the concept,” the brand adds on the design on its Instagram. The whole idea of Arket is to be a fast-fashion disrupter, the brand is looking to offer “durable products designed to be used and loved for a long time” with items geared around the whole family, which is why the store houses menswear, womenswear and childrenswear, as well as homeware and a cafe, which is based on the New Nordic Food Manifesto, featuring a vegetarian menu. What instantly hits you when you walk into the store is the space, the design and OCD approach to the styling of the clothes and accessories means that you feel calm. There isn’t masses of rails to weave around, no huge displays of mannequins showcasing the latest trends, instead there are shelves not filled, racks are evenly spread out in colours, and tables are covered with individual items rather than piles.The design is definitely all about attention to detail, it makes you focus on the quality of the product and adds a more luxurious feel to the traditional high street shopping experience. Also a surprise is that Arket has given menswear the unprecedented ground floor spot, with the men’s tailoring and knitwear being the first thing customers will see when they enter. The menswear then leads into the very Instagram-friendly homeware and beauty department at the heart of the store, which I’m sure will be a firm favourite with consumers. Rounding off the ground floor is the vegetarian cafe, which has its own entrance opposite Liberty’s, which is probably the most exciting prospect as they really are hoping that Arket will be more than just a clothes shop but rather a shopping destination. Upstairs is dedicated to a womenswear and childrenswear, showcasing the curated edit of its ‘archive’ collection, which sets about creating the building blocks to creating a capsule wardrobe filled with an “everyday uniform” of quality staples in a minimalistic design in fabrics such as organic cotton, silk, recycled cashmere, wool, and polyester yarn made from used plastic bottles, all colour coded across the floor. Essentially, Arket is billing itself as the “modern-day market” offering wearable pieces that focus more on quality, simplicity and functionality, rather than trend. While you won’t see the latest catwalk copies at Arket, like you would in H&M, you will see seasonal updates to the core collection, such as colour and material changes. There will be comparisons made regarding the fashion offering to sister brand Cos, however, the aesthetic is more classic and traditional at Arket, with premium staples being at the core, from the organic cotton T-shirt to recycled cashmere jumpers, as well as functional items such as the two-in-one Series fish-tail parka that features a lightweight, weatherproof outer and a detachable padded lining designed for all-year wearing. To ease customers through the ‘archive’ the layout features all the same colour together, and each style comes with a unique nine-digit ID code, identified by department, category, product and material, for instance anything in the women’s department has a 2, knitwear is 22, while cashmere is 087 and anything recycled is easily identified with an R at the end. This code also helps tie-in online with in-store, as shoppers can simple search online for the specific item to see if it comes in a new fabric or colour, and even to see if it their favourite items has been restocked. In addition to Arket’s own-brand ‘archive’ collection, the store also features a number of “complementary” third-party brands mainly across shoes, accessories and homeware, such as Adidas, Nike and Veja, as well as less well known brands such as Danish toy brand Nature Zoo and stationery brand Deskstore of Sweden. The brand is also putting sustainability at the forefront of its proposition, with each piece featuring a tag displaying the country it was made in as well as the supplier and factory, and even informing customers about the care of the products in an attempt to prolong their lifespan and reduce waste. On the brand’s website it states: “The starting point for each product is quality, building on the strengths of each production market. Value for money will be ensured by economies of scare, by initiatives like the yarn projects, and above all, by establishing enduring styles. Such initiatives are showcased in its Merino Yarn Project, where Arket has designed a unique knitted fabric made from organic merino-wool fibres that runs throughout the collection, and the Cotton GSM programme that has developed four different weights from one fibre to create a core collection of jersey, meaning you can buy the same style in different weights for all-year round wearing. The thing you notice most about H&M Group’s new brand is that it is very well-considered, from the design and layout of the store to the website and its ability to search by department, colour or even pattern, as well as material and where the piece was made, and the clothes itself, its pieces have literally been designed to be “widely accessible, well-made, and durable” for longevity. Arket is being positioned as H&M Group’s most premium brand, trying to target a gap in the market between mid-priced and luxury, with fashion prices starting at 3 pounds for a pair of socks to around 300 pounds for a coat. It will sit alongside H&M Group’s other brands, which also happen to be its neighbours on Regent Street including fast-fashion brand H&M, & Other Stories, Cos, and Weekday, which recently opened, as well as Cheap Monday and Monki, both close by on Carnaby Street. Coinciding with the Arket opening in London on August 25, the brand will also launch its e-commerce, shipping to 18 European markets including the UK, France, Germany, Italy, the Netherlands, Poland, Spain and Sweden. Consumers who signed up to the brand’s website before August 23 were sent out preview access to the website, along with a 20 percent discount code. The Regent Street Arket flagship will be followed up by a further London store in Covent Garden on Long Acre by the end of the year, which will house a bigger cafe, as well as openings in Copenhagen in September, and Munich, Brussels, and Stockholm planned for 2018. Shoprite, Africa’s largest food retailer, wants to expand to new continents and is eyeing Poland as its gateway to Europe, the Puls Biznesu daily has said, adding its scepticism. Shoprite CEO Pieter Engelbrecht, who visited Poland last week and is in talks with two developers, said entering Eastern Europe would be easy because the African retail giant already has partners in the region, the Puls Biznesu daily said. South African-based Steinhoff International, owner of the Abra furniture retailer which has 100 locations in Poland, is looking at a controlling stake in Shoprite, which has a market value of some PLN 35 billion (EUR 8 billion), the paper said. The paper added that Steinhoff is controlled by South African businessman Christoffel Wiese, who is already Shoprite’s main shareholder. Engelbrecht said Shoprite could use Steinhoff’s synergy in Poland, according to Puls Biznesu, but declined to give the paper details about its plans for expansion in Poland or how partnering with a furniture chain would benefit the food retailer. International sunglasses retailer Sunglass Hut opened a new store in Hangzhou&apos;s Intime Wulin store, which is the brand&apos;s third store in the city following the ones in Hangzhou Kerry Centre and Hangzhou Bailian Outlets. It started as a small independent store in Miami in 1971 and it developed 100 chain stores in Miami by 1986, reaching annual sales of USD24 million. By 1991, Sunglass Hut&apos;s annual sales exceeded USD100 million and by 1996, the company seized 30% share of the American sunglasses market. The fashion retailer recorded a 4.4% drop in revenue to £338.7m in the 13 weeks to June 24, exacerbated by a 7.5% plummet in UK like-for-like sales. New Look posted declines in its own-brand like-for-like sales and own-website sales of 8.2% and 0.6% respectively, while its third-party ecommerce sales rose 15.7%. The fast-fashion retailer opened 17 new stores in China during the period, taking its bricks-and-mortar footprint in the country to 127. The retailer, which posted a slump in full-year profits in June, also trialled a new store concept in the UK during the period. Chief executive Anders Kristiansen said: “As expected, the UK market has remained difficult, which has resulted in a disappointing quarter of trading. We have managed the business accordingly by controlling costs, tactical investment in our strategic initiatives and enhancing our product proposition. “We remain committed to our long-term strategy of diversifying the business and reducing our dependence on the UK high street, and are confident that we will see improvements, but expect these to take time. The fashion retailer’s latest results come shortly after a raft of changes to its senior team. The retailer’s menswear boss Christopher Englinde and footwear director Amanda Wain exited the business in June. Shortly afterwards, New Look appointed former Zara Basic head of product Paula Dumont Lopez as its new chief creative officer, succeeding Roger Wightman. Dumont will join the retailer in September. The fast fashion retailer also poached Mango womenswear director Rosa Gutierrez Sanchez to bolster its buying, merchandising and design departments, although she has joined the business on a contract basis. J.C. Penney is the bearer of more bad news for department-store investors. On Friday morning, the company followed Macy’s Inc., Kohl’s Corp. and Dillard’s Inc. in reporting declining sales in the second quarter. J.C. Penney also posted a deeper loss than analysts expected — hurt by clearance sales — sending the shares on their worst decline in more than four years. The results renewed fears that there’s no end in sight for the department-store industry’s drought. J.C. Penney Chief Executive Officer Marvin Ellison is trying to win back customers by expanding the company’s partnership with cosmetic retailer Sephora and bolstering the assortment of high-price items, like appliances. The company is also pushing services like salons that require shoppers to come into stores. But progress has been slow. The company also is closing about 140 underperforming stores. And the liquidation of inventory in 127 of those locations hurt profit in the period, Ellison said in a statement. But investors saw little reason for optimism. The shares tumbled as much as 18 percent to $3.85 after the report was released, the biggest intraday drop since February 2013. That followed a 43 percent decline this year through Thursday’s close, bringing the stock to a record low. The rout suggests investors don’t think the weak results can be attributed just to one-time liquidation sales, Citigroup Inc. analyst Paul Lejuez said in a note. J.C. Penney may need to give further assurances to investors, he said. “They will have to provide more detail for the market to better understand what happened,” Lejuez said. The selling frenzy weighed on other department-store stocks, including Nordstrom Inc., which had been seen as an outlier in the industry’s gloom. That company posted a surprise quarterly sales gain on Thursday evening, and its shares had gained in late trading. But the rally evaporated on Friday morning after J.C. Penney’s report. The stock fell 2.5 percent to $43.74. Same-store sales at J.C. Penney fell 1.3 percent in the period, which ended July 29. That compared with the 1.2 percent decline projected by analysts, according to Consensus Metrix. The loss was 9 cents a share in the second quarter, excluding some items. Analysts estimated a 4-cent deficit on average. Still, overall revenue came in a bit above projections. The company posted $2.96 billion in net sales, compared with an estimate of $2.85 billion. “While broader retail remains challenged, we are encouraged by the improved performance in our total apparel business, including a significant acceleration in kids’ apparel,” Ellison said. The Camuto family will continue to own and operate its apparel businesses following the acquisition. Aldo, which is also a family business, said the purchase will increase both companies&apos; capabilities and reach, and enhance their ability to offer the widest selection of footwear, handbags, and accessories through all channels, including owned stores, franchise, online and wholesale. David Bensadoun, Aldo Group&apos;s chief executive, said: "We are thrilled to have found a partner that has the skills and infrastructure required to support our vision. Both of our companies are heavily product oriented, and they each evolved in different ways. Based in Connecticut in the US, Camuto was founded by Vince Camuto in 2001. Its products are sold in more than 5.400 outlets worldwide. Alex Del Cielo, Louise Camuto, and the executive team have recently led the company through a period of steady growth. Del Cielo will remain in his role as chief executive after the acquisition and will report to Bensadoun. Meanwhile, Aldo was established in 1972 and has 3,000 points of sales in over 100 countries. Australian homewares specialist House is plotting an assault on the UK market, Retail Week can reveal. House, which is owned by Global Retail Brands, has thrown down the gauntlet to the likes of Lakeland and John Lewis with plans to open 75 stores within the next three years. It aims to open its first tranche of shops by April 2018 and will also launch a transactional ecommerce platform after identifying the UK as its preferred market to kick-start an overseas push. House, which has 104 stores in its native Australia, describes itself as a kitchen, cooking, dining and entertaining specialist. The retailer’s stores typically carry 4,000 core SKUs including cookware, glassware, small electrical appliances, knives and crockery. Its Australian website sells an additional 8,000 lines, including products in the bathroom, bedroom, décor and pet categories. House said its stores aim to “inspire customers to cook and create and entertain at home,” with service and customer interaction forming a key part of its proposition. It gives all new store managers and assistant store managers AUS$8,000 of products for them to use at home so that they “know the product backwards” and can have “passionate” and personalised discussions with shoppers. US fashion retailer American Eagle Outfitters is pulling out of the UK less than three years after opening its first stores on British soil. Of its three UK shops, the company is said to have closed one – in Bluewater shopping centre in Kent – and ceased trading in the remaining two, which are based in Westfield Shepherds Bush and Westfield Stratford. 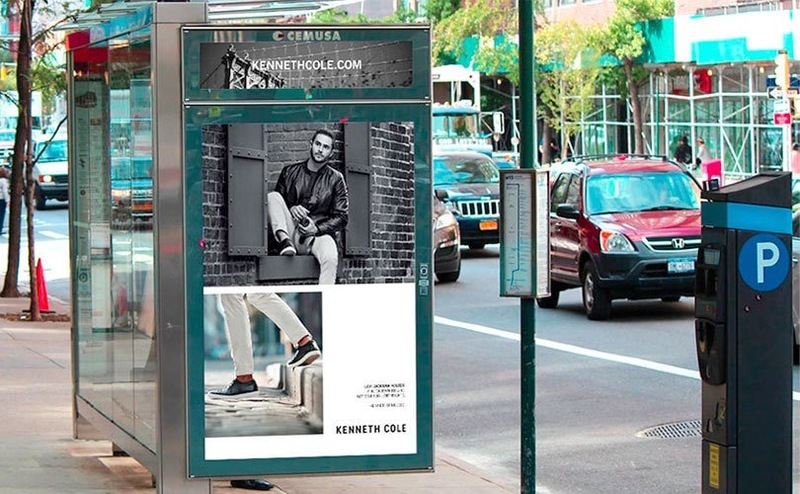 According to Retail Week, American Eagle – which is one of the biggest fashion retailers in the US – has struggled to gain a foothold in the competitive UK fashion market since it arrived in November 2014. At the time, the firm said it was aiming to have between 20 and 30 stores in the UK and would also look to roll-out its Aerie underwear brand. The Pittsburgh-based company has around 950 stores in the US and targets 15 to 25-year-olds with affordable, preppy fashion. Other American brands that have more successfully crossed the pond and entered the UK fashion market include Hollister, Urban Outfitters and Forever 21. Property agency Harper Dennis Hobbs, which has been advising American Eagle in the UK, declined to comment when approached by The Telegraph. However, an American Eagle Outfitters spokesperson said: “As of July 15, American Eagle Outfitters will be closing our three retail stores in the UK. American Eagle Outfitters isn&apos;t the only retailer to struggle amid turbulent economic conditions in the UK. Many of Britain&apos;s biggest fashion brands including Next, Marks & Spencer and Debenhams have been struggling to keep up with their online-only rivals, due in part to the higher overheads they must pay that chip away at their profits. Tmall has carried the Hollister brand since 2014 and from 26 July will also include a full offering of Abercrombie & Fitch and Abercrombie Kids products. In a statement, Abercrombie said the fact that 75% of Alibaba’s users are under the age of 35, and around 80% of its gross merchandise value takes place on mobile, the demographics on Alibaba’s China retail marketplaces align well with its updated brand target of consumers in their twenties. Abercrombie currently has ten physical stores in mainland China and a local site at Abercrombie.cn. The brand said it is exploring with Tmall how to provide additional omnichannel capabilities to shoppers. Fran Horowitz, chief executive of Abercrombie & Fitch, said: "Alibaba Group places a strong emphasis on consumer engagement, which aligns with our focus on creating a unique online brand experience for our customers, as well as facilitating a seamless and frictionless shopping experience. Building on our Hollister brand&apos;s successful partnership with the leader in China&apos;s online retail space, we are excited to bring our A&F brand experience to the broader Chinese market, beyond the reach of our physical stores through Tmall." Michael Kors plans to open around 100 new stores in China in next three years, as the US brand continues to plan for mass global retail closures, forming part of its recently revealed “Runway 2020” restructuring program to turn dwindling sales around. Michael Kors’ initial restructuring announcement came in early June, after the brand posted a double-digit same-store sales percentage decline in the fourth quarter ending April. It was here that Michael Kors said it would shutter 125 stores worldwide. “We think that the [accessories market] is down slightly in North America. We think it’s flattish in Europe. We think it’s up slightly in Asia,” John D. Idol, Michael Kors’ chairman and chief executive officer, told WWD in a recent interview. The New York-based luxury leathergoods and accessories added that its main growth drivers moving forward will be its retail presence in Asia and its surging men’s category — each of which have the potential to become $1 billion segments of the brand. Growth in Asia is the main, most achievable goal, according to Idol, with plans for 100 stores to be added in China alone and more elsewhere in the region over the next few years. There are 111 Michael Kors stores in Asia in operation now. In addition, some 100 global stores will be renovated to sell better a new Michael Kors luxury collection, and reposition the high-end factor of Michael Kors to a bored clientele. Speciality salons for shoes are another area of planned growth for the brand. The company also wishes to minimise wholesale, aiming for a revived Michael Kors brand that is 30 per cent wholesale and 70 per cent retail. With the aforementioned retail and product changes in put in place, Michael Kors said it expected revenue of $4.25 billion for fiscal year 2018 and also forecasts a high single-digit drop in same-store sales. For the fourth quarter ended April 1, total sales fell 11.2 per cent to $1.06 billion. Analysts had expected $1.05 billion. 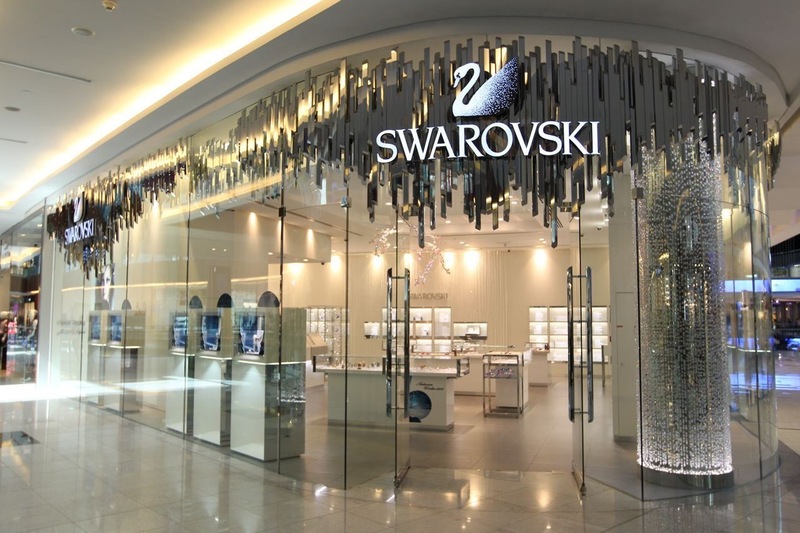 Crystal maker and jeweller Swarovski has opened its Perth flagship store, the second store in Australia to feature the brand’s crystal drop chandelier, as part of its new retail design. Located in Perth Hay Street Mall, the new Western Australia store boasts Swarovski’s new ‘crystal forest’ outfit, which was unveiled at the opening of the Austrian firm’s Sydney store in May. Updating the store layout, Swarovski employed renowned architect Tokujin Yoshioka as part of the brand’s plan to improve aesthetics across its distribution network. In an interview earlier in the year, Australia managing director of Swarovksi, Brett Spinks, said Australia was a “growing” market, adding that the high-end jeweller plans to roll out more new store in 2017. “We see robust growth in our retail channel both online and in our physical [stores],” Brinks said. The Australian watch and jewellery retailing industry grew by an annualised 2.9% over the five years through 2016-17, to reach $3.3 billion, according to Ibis World. Shares of Starbucks Corp. sank Wednesday to an eighth straight loss, after a Wedbush Securities analyst downgraded the coffee giant for the first time, on concerns that investors may be too optimistic about the sales outlook. The stock SBUX, -1.07% shed as much as 1.7% intraday before closing down 1.1%, after tumbling 5.6% over the past seven sessions. The current losing streak matches the eight-session stretch ending Jan. 3, 2017, which at the time was the longest since a 10-session losing streak ending Nov. 14, 2008. Wedbush analyst Nick Seytan cut his rating to neutral, after being at outperform since he started covering the company in September 2013. He kept his stock-price target at $65, which was 7.8% above current levels. Just before the losing streak started, the stock had soared 13% in three months to a record close of $64.57 on June 2, amid expectations of a ramp-up in comparable-store sales. Seytan said that the sales outlook followed signs of improving trends in March and April. He suggested, however, that the current share-price levels may imply that investors are too upbeat to hold on to his bullish stance. Same-store-sales growth is currently expected to accelerate to 5% for the third quarter, ending this month, and then to 5.2% for the fourth quarter, according to analysts surveyed by FactSet, from 3% growth in the second quarter. 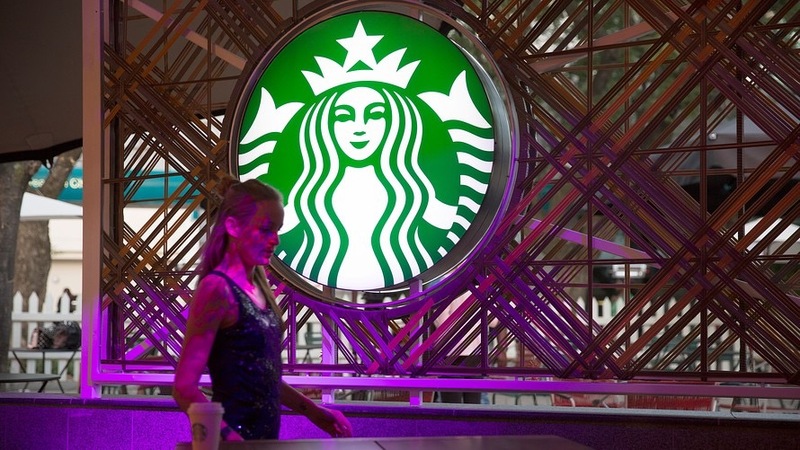 Starbucks is scheduled to report third-quarter results after the July 27 close. Starbucks shares have gained 8.6% in 2017, while the SPDR Consumer Discretionary exchange-traded fund XLY, -0.06% has rallied 11.6% and the S&P 500 index SPX, -0.10% has climbed 8.9%. Amazon has once again been named the world’s most valuable retail brand in the annual BrandZ Top 100 Most Valuable Brands ranking published by WPP and Kantar Millward Brown. The online giant took fourth spot in the ranking behind technology firms Google, Apple and Microsoft, but Amazon did achieve the highest dollar value growth of all the brands in the top 100 ranking, increasing by 40.3 billion dollars, up 41 percent to 139.3 billion dollars. The ranking said that Amazon’s growth was linked to its continuing innovation and its focus on its technology ecosystem honed to meet multiple consumer needs such as online shopping, rapid delivery, and entertainment, as well as introducing new artificial intelligence-enabled services including grocery delivery and personal assistant Alexa. David Roth, chief executive EMEA and Asia, The Store WPP, said: “This year’s BrandZ global top 100 continues to demonstrate that strong brands deliver superior shareholder value and returns regardless of disruptive external climates. Other highlights in this year’s ranking included Adidas being the fastest-rising brand by percentage growth as it increased 58 percent in value, because “its retro sneakers connected perfectly with the fashion moment and the brand made operational and marketing changes to strengthen its US business”, said the report. The fastest-rising category was retail, increasing 14 percent, but the report also added that beyond the numbers, the category faced new turbulence, as both Amazon and Alibaba (ranked 14th) prepared to open extensive networks of physical stores, and Walmart (ranked 31st) acquired an e-commerce startup. While luxury only saw a 4 percent increase in brand value on last year. Other retail and luxury brands to make the top 100 included Nike taking 26th place, while Yves Saint Laurent was the highest-ranking luxury brand at 29, and Zara was the top high street fashion chain at 34. Hermes made the cut at 41, while Gucci was down in 80th place. In the apparel category of the report it noted that there the two category growth drivers, sportswear and fast fashion, struggled last year. The apparel Top 10 declined 7 percent in value, following a 14 percent rise a year ago, as shoppers purchased with more discretion, looking for durability and value, and favouring brands that were on trend, such as Adidas, said the report. As H&M braces for the opening of its first Arket store, it is already putting a plan in motion for its second location. The fast-fashion chain announced in March that is plans to launch its new brand, Arket, in early fall. Arket, H&M’s first new brand in three years, will feature merchandise men, women and children, and a smaller, curated assortment of home goods. The chain announced that the first Arket, which is Swedish for “sheet of paper,” will initially open its first store in London, and online in 18 European markets. However, the company announced that a second London location is also now in the works, according to The Retail Gazette. H&M still plans to introduce Arket in Copenhagen, Brussels and Munich, the report added. 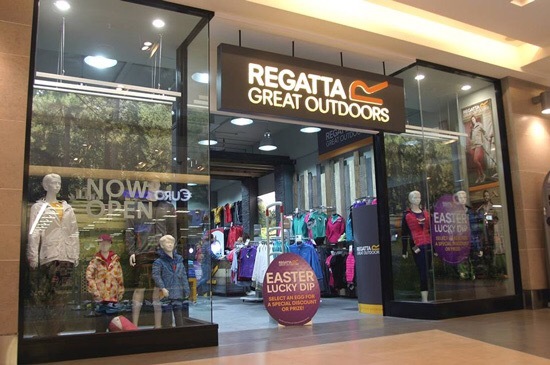 British outdoor and leisure clothing brand Regatta Great Outdoors is making its US retail store debut exclusively at Sears with 11 shop-in-shop locations through the New England area. The Regatta outdoors collection is now featured in 1,800 square foot shops inside the following Massachusetts Sears locations: Saugus, Burlington, Auburn, Peabody, Braintree, Natick and Hyannis, as well as Salem and Nashua, N.H., Warwick, R.I., and South Burlington, Vt. In addition, the Regatta collection will also be available on Sears.com starting this autumn. Based in Manchester, Regatta Great Outdoors is one of Europe’s most popular outdoor clothing, footwear and equipment brands, and offers active, performance, outdoor, and leisure wear for women, men and children. US fashion brand J.Crew has announced its long-standing chief executive Mickey Drexler is to step down. The retail veteran who helmed the company for 14 years will stay on as chairman while former president of West Elm, Jim Brett, steps in to take over the role. he pair are attributed to spearheading the company’s success both in the US and internationally. “This is an exciting time for J.Crew as we continue to make significant changes to position our company for long-term success,” Drexler said in a statement. 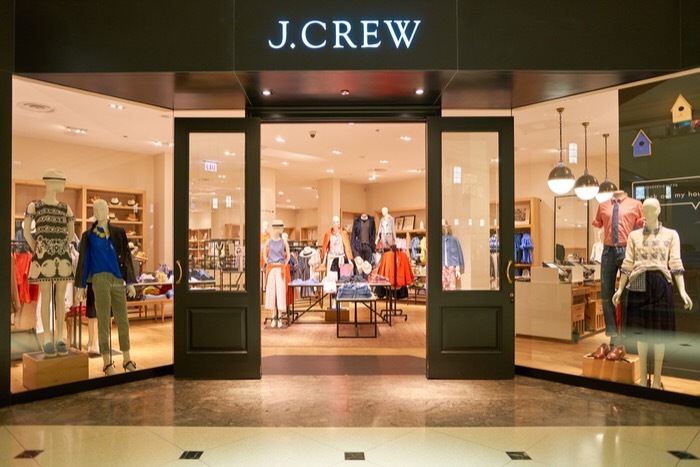 Recently J.Crew, which trades in seven UK locations, announced plans to cut 150 jobs as its $1.5 billion (£1.16) debt continues to hinder its turnaround strategy. Drexler has successfully led turnaround efforts at Ann Taylor and Gap in the past, but admitted to the Wall Street Journal he didn’t anticipate just what an influence technology would have on the industry. “Jim has a proven track record of pushing for innovation and growing omnichannel brands,” Drexler said. The Foschini Group could be bringing some of its 22 brands to Australia: What will land first? Aussie retailers could soon see yet another influx of new competition, with South African retail giant The Foschini Group (TFG) saying it’s considering bringing some of its 22 retail brands Down Under. Speaking to Fairfax, TFG chief executive Doug Murray said the group is looking to build a “mini-TFG here in Australia” after its $302 million acquisition of Retail Apparel Group last week. The acquisition will see TFG add menswear brands Tarocash, .yd and Connor, as well as women’s activewear brand Rockwear to its stable. Foschini already has a number of brands across, jewellery, homewares, tech, and other specialty fashion. Murray told Fairfax the group is looking to start a brand migration to Australia with its jewellery retailers, specifically diamond jewellery and watch retailer AmericanSwiss. “We’ll go through each of our brands and do our research and make the call of which brands come in under this platform,” Murray told Fairfax. The other jewellery chains under TFG’s umbrella are Sterns and Mat and May. However, retail expert and academic at Queensland University of Technology School of Business Gary Mortimer believes the Australian jewellery retail space is crowded, and a jewellery or watch retailer would be “the last business I would consider opening here in Australia”. “We’ve got a number of high profile jewellery retailers such as Prouds and Michael Hill which are starting to position themselves further up in the market,” Mortimer told SmartCompany. TFG also owns two different sports retailing brands; Sportscene and TotalSports, and Murray believes there’s possibility to bring one to Australia along with homewares brand @home. However, Foschini might leave its “ladieswear” business out of the equation for some time. “Sports is certainly one we’ve spoken about and we’d like to see how we could take that one forward,” Murray told Fairfax. Mortimer believes TFG’s overall strategy makes sense, as Australian shoppers are keen to try out new brands, and there hasn’t been a “great deal of choice” in areas such as sportswear, which have been dominated mostly by Rebel Sports or Super Amart. This has changed somewhat in recent times, with global retailer JD Sports opening its first store last month, and French sporting retailer Decathlon on the way. Both Murray and Mortimer believe these specialty-focused stores are the future of Australian retail, with Murray highlighting TFG’s position as a specialty retailer. “We are not department store lovers, we think department store retailing is generally out of favour long-term worldwide – you can see that in America and Australia and South Africa,” Murray told Fairfax. Mortimer agrees, saying the days of department stores “are numbered”, with retailers like Myer shutting a number of their regional stores. “The way Australian consumers shop today is not with department stores, as we’ve got such a great range of specialty stores,” he says. SmartCompany contacted TFG but did not receive a response prior to publication. Sears is closing 72 more stores, in addition to the more than 180 that have already been announced this year. 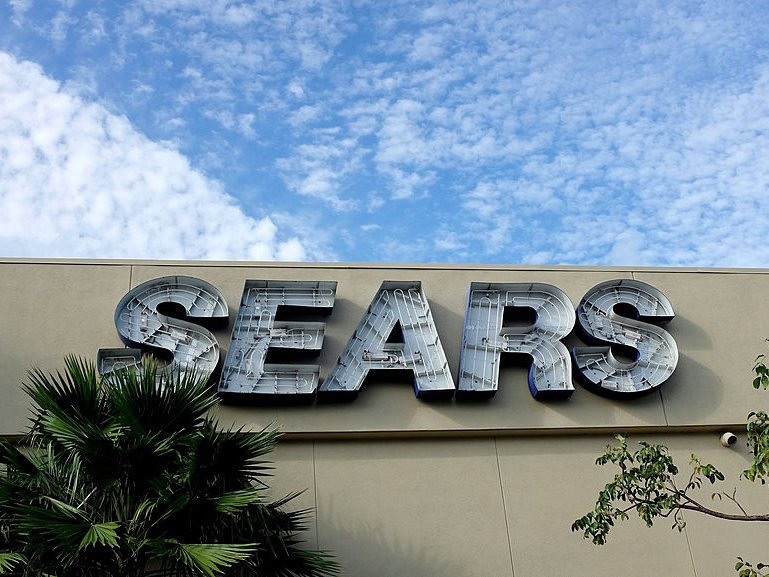 The company released a list internally on Tuesday of the closing stores, which includes 16 Sears stores, 49 Kmart stores, and seven auto centers. Most of the stores will close in September. The closures will bring Sears’ store count to about 1,200, down from 2,073 five years ago. Here’s a list of the closing stores, which was obtained by Business Insider.